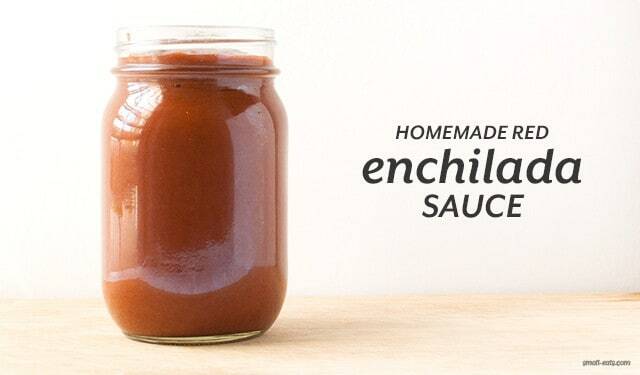 Homemade Red Enchilada Sauce is easy to make from scratch and uses ingredients you can easily stock up in on already have on hand. The only thing I usually check for in my pantry is the 8 ounce can of tomato sauce. This recipe is more on the mild side, but you can easily add more heat with chipotle or other ground chilies. If you’re not big on heat, you can cut down the amount of chili powder as well to probably 1 tablespoon. This recipe is perfect for enchiladas made in an 8×8” baking dish. If you’re going to make enchiladas in a 13 x 9” or want to stock up and make two batches on enchiladas (lucky you! 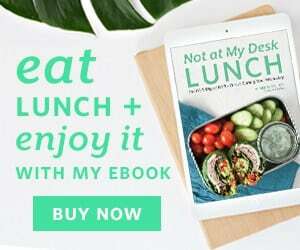 ), you can easily double this recipe and get the exact amount you need. When you read over the recipe, you’ll notice I gave an approximation of the amount of stock (or water if you don’t have any stock/broth handy). That’s because I found myself using less because I wanted a thicker sauce. 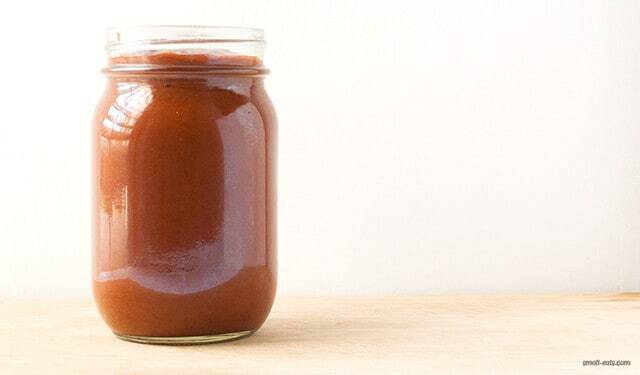 While I was cooking the sauce, I started with the recommended 11/2 cup in my measuring cup and would pour in a little bit, whisk, see the consistency, pour a little bit more in, whisk, and repeated that process until I got the sauce thickness i wanted. I didn’t end up using the whole 1 1/2 cups. If you want a slightly thinner sauce, I recommend the 1 1/2 cup measurement. In a medium stock pot, bring oil to medium high heat. Whisk in the flour and chili powder. Reduce heat to medium and gradually mix in tomato sauce and spices. Pour in a little bit of stock at a time, while whisking. Whisk until smooth and add as much to get the consistency you want (I prefer a thicker sauce, so I used less than 1 1/2 cup of stock). Simmer for about 5-10 minutes. Made for an 8x8" dish. When using a 13 x 9" dish for enchiladas, simply double this recipe.